ECIL Admit Card Released For Graduate Engineer Trainee (GET) Exam – Download Here Official PDF for GET Post examination now. 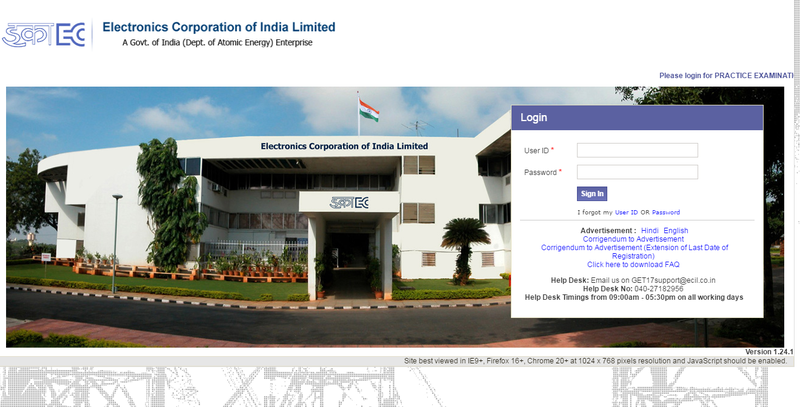 ECIL - Electronics Corporation of India Limited has been released admit card today for the online examination of Graduate Engineer Trainee (GET) posts 2018. The ECIL will conduct GET 2018 examination on January 21 in different 28 cities across the Country. The ECIL GET examination candidates can check their respective exam center details from the official website www.ecil.co.in. The candidates are required to print two copies of ECIL admit card and paste their latest colour photo (4 X 3 cms size) on both copies. One copy of the admit card is to be submitted to the invigilator at the exam center, while the candidates must retain another copy for future reference.